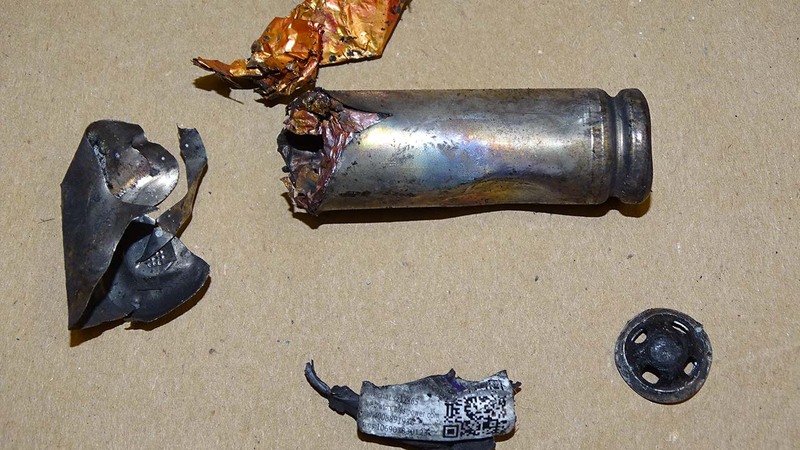 A man in Canada suffered severe burns after an e-cigarette exploded in his pocket. CALGARY, Canada (KTRK) -- A man in Canada suffered severe burns after an e-cigarette exploded in his pocket. The incident happened at the Embarcadero oyster bar in Calgary and was caught on surveillance video. The man was carrying an e-cigarette and a spare battery in his pocket. He told reporters that the battery apparently shorted out when it rubbed against some loose change. The explosion was so intense, it melted his polyester boxer shorts onto his skin and gave him third degree burns. A 28-year-old Montgomery County man is the latest victim in a series of accidents involving electronic cigarette explosions.